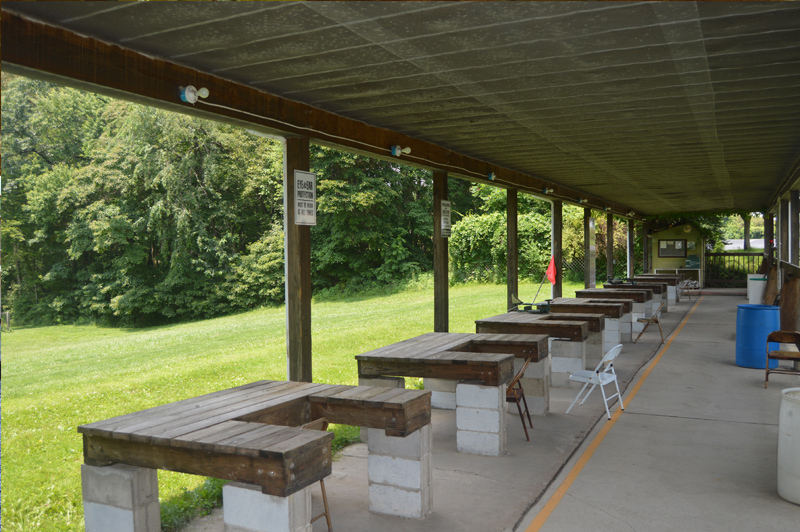 The Outdoor Rifle Range features backstops at 50-100 and 200 yards. The 200 range also has Pits for High Powered Rifle Matches. There is a Shotgun Patterning Board located to the left of the Rifle Range – NO SLUGS PERMITTED. Shooters MUST wear Eye and Ear Protection at all times. 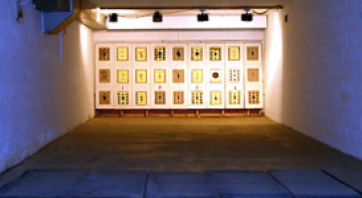 Paper Targets only, placed between the wooden up rights. Everyone must sign in and pay fees before going to the ranges. Members have preference over guests when Range is Crowded. No shooting before 9:00 A.M. No Uncontrolled Fire. No cross firing. Please place used brass in the buckets provided and sweep up before you leave the Ranges. All guests must be accompanied by a member and Jr. members must be accompanied by a parent or other responsible adult. Fees: $2.00 for members, $4.00 for guests. The Indoor Range is open any time the Club House is open. Only .22 caliber Rimfire ammunition is permitted.